New Delhi: President Pranab Mukherjee will attend Osmania University's centenary celebration in Hyderabad tomorrow. The President will also attend the convocation ceremony of the English and Foreign Languages University (EFLU). Both the events will also be attended by Telangana Governor E S L Narasimhan and Chief Minister K Chandrasekha Rao. 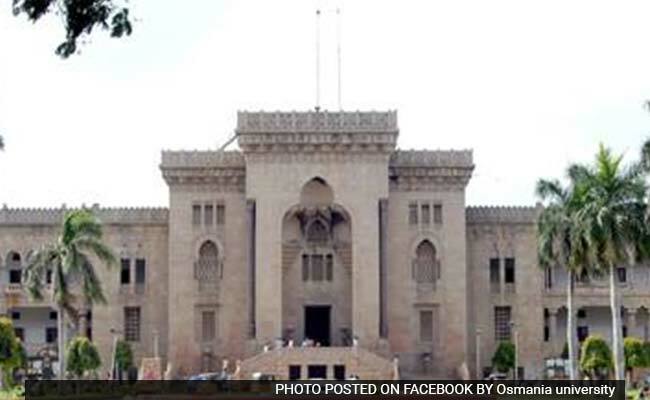 According to a notice released by the city President Pranab Mukherjee will attend Osmania University's centenary celebration in Hyderabad tomorrow. The President will also attend the convocation ceremony of the English and Foreign Languages University (EFLU).police, traffic restrictions would be imposed on certain routes through which the President's envoy is expected to pass. Security will also be tightened ta both the events and traffic will be diverted on some routes to facilitate the President's movement. Osmania University (OU), is one of the oldest educational institutions in the country. It is all set to host a three-day centenary celebration which will begin tomorrow. The President would be the Chief Guest on day one of the celebration. Some of the prominent alumni of the university are former Prime Minister P V Narasimha Rao, Maharashtra Governor Ch Vidyasagar Rao, Union minister Bandaru Dattatreya, Telangana Chief Minister K Chandrasekhar Rao and MIM chief and Lok Sabha member from Hyderabad Asaduddin Owaisi. Osmnia University had issued a statement last night and had requested all the participating students and stakeholders to to cooperate with the university administration and facilitate smooth conduct of the celebrations. In the statement, the Registrar of the Osmania University said that any attempt to disrupt the programmes would lead to appropriate disciplinary action against the concerned party and may also result in rustication if necessary. He also appealed to the student community to cooperate in making the event a grand success. Mukherjee will also attend the first convocation of the EFLU which is a Central university situated in Hyderabad tomorrow in the evening.